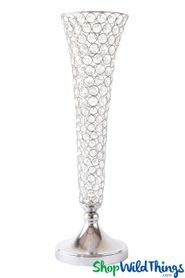 Home > Floral Decor > Flower Balls & Heads > Real Feel Flower Ball - Foam Rose - Pomander Kissing Ball - 12" White - BUY MORE, SAVE MORE! We are so proud of our new line of Foam Rose Flower Balls not just because of the superior quality but also because of the exquisitely elegant look and feel! Our new Real Feel Foam Rose Flower Ball is the ultimate in floral Decor, ready for your special day! 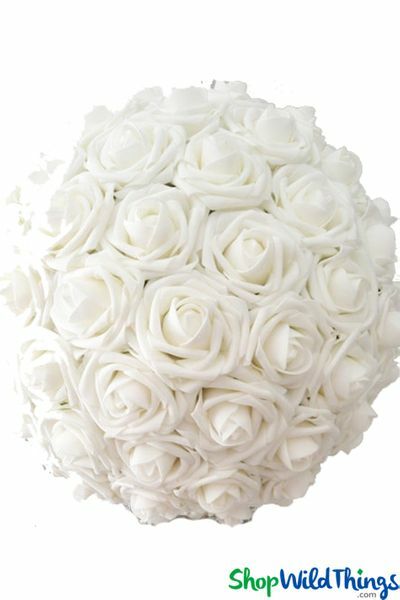 This White Pomander Kissing Ball is 12" in diameter and the roses are approx. 2 1/2" in diameter. 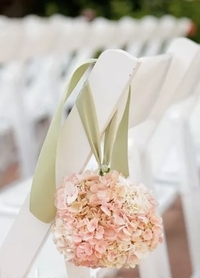 Flowers are a must at any event but they can be a lot to deal with so remove that stress and enjoy your moment! These Rose Balls have a 9" long satin ribbon so they're perfect for flower girls to carry and they're ideal for centerpiece Decor. Hang from manzanita trees, place on a vase or simply lay on a table. 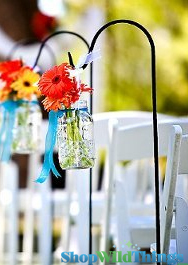 You can add them to wedding arches for a sophisticated look or create an exceptional aisle walkway by hanging them from shepherds' hooks. Another really unique and classy idea is to float them in water! The foam design makes them a natural in water and they'll stay afloat all day. If you spritz the petals with water they really look like dewy fresh roses straight from the garden!